A corporate time-traveler from the past likely wouldn’t recognize today’s tech landscape: There’s a whole new digital world of business that is vastly different from just a decade or two ago, with an accelerated pace of technology advances that are changing the rules — and risks — of every aspect of running a successful organization. Once cutting-edge trends such as data analytics, digital labor, IoT, cognitive automation and design innovation are now becoming more mainstream, creating a wide variety of challenges as well as opportunities for the C-suite. For the IT organization, that means supporting business efforts to thrive in this digital world by thinking and acting digitally — rapidly adjusting to constantly shifting disruptive forces and evolving customer expectations in the face of increased competition. Technology, speed and expectations have disrupted the business world, forcing organizations to change or risk extinction. E-commerce is a perfect example: It came on like a powerhouse in the late ‘90s to disrupt the retail market and fundamentally changed the way businesses interact with their customers. Today, Forrester Research predicts that online sales will grow to $523 billion by 2020, with over 9% annual growth. Retailers around the world were forced to up their game and adapt to technology advances, changing shopper expectations. Mobile has also taken technology, speed and expectations to a new level over the past decade. Smartphones and tablets have put customers in control — allowing them to access products and services anywhere, anytime. This drove the introduction of 24/7 services and support because organizations recognized what customers wanted; understood how, where and why they accessed products and services; and focused on what drove their behavior — mobile. Design innovation is about designing for people, not processes, and needs to challenge legacy business and industry models. This will accelerate organizational change and help create and shape future value. Keep in mind, the typical design-build-run does not foster design innovation — more agile design models are necessary. 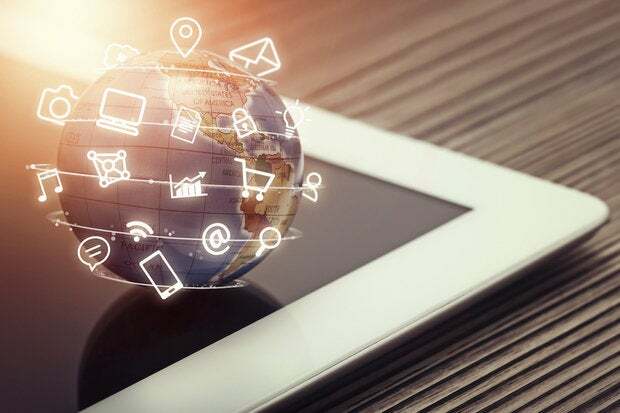 Internet of Things offers a new ecosystem of sensor-based connected devices, technologies and objects that drive the volume, velocity and variability of data. This new level of connectedness can capture substantial business value. Digital Labor represents a convergence of robotic process automation (RPA), machine learning, cognitive computing, artificial intelligence, and advanced analytics, which is automating workflows and bringing structure to vast unstructured data sets and the knowledge base of organizations. Data analytics add tremendous business value by leveraging big data and identifying insights, which has become critical to the success of any organization. The companies that capitalize on these digital opportunities — think Uber, AirBnB, and even GE — should thrive in the market, while those that do not will most likely lose out to new players. A business-first, people-oriented approach is key, says Wright. Digital is a journey, of course, with many stages of evolution and a vast majority of organizations risk being left behind. One essential in the fight to stay ahead of the curve is in the definition of digital: When an organization thinks about being “digital”, it needs to define it more broadly than an investment in technology, or a one-off project, a customer channel, or putting a “pretty face” on the front-end experience. Digital is more about an enterprise-wide transformation that forces organizations to look at how they reinvent their business model to remain competitive — according to KPMG’s new whitepaper, How to Thrive in a Digital World, it’s about behaving “digitally.” That is, focusing on the problems, designing for customers, delivering in an agile way, and continually looking to improve. For the CIO, this means implementing agile processes and developing the new skills required for previously emerging, now mainstream technologies. The IT organization needs to be able to rapidly adjust to the new speed of business, the constantly shifting disruptive forces and evolving digital expectations. In Part 2 of this two-part blog series, we will focus more deeply on how to thrive in a digital world. After all, the gap between those ahead on this winding, evolving journey and those falling behind is expansive. You’ll find out how organizations well along the path have gained new customers, increased customer satisfaction, and achieved greater profitability thanks to thinking digitally.